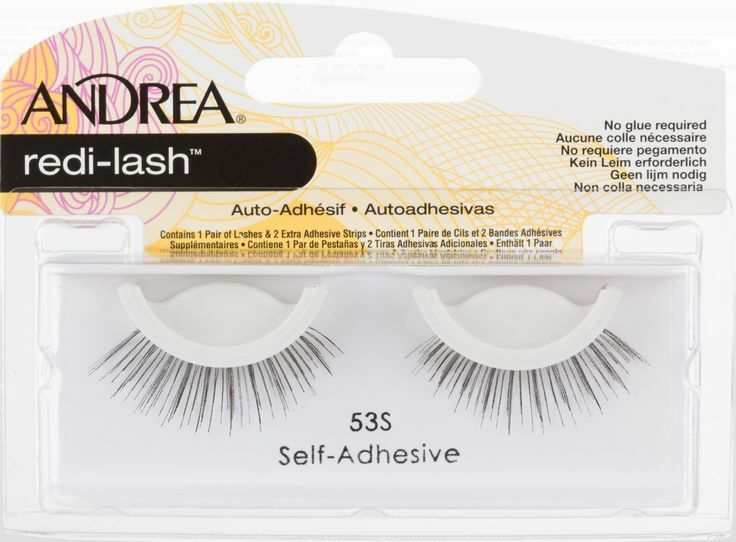 Andrea Redi-Lash Self-Adhesive 53 (also known as 53S) Lashes is light-weight, comfortable, and easy to apply. Andrea's Redi-Lash Lashes combine fashion with function for a quick and convenient way to have the long, luscious lashes we all wish we were born with. This turn around worthy display is 18.875in (L) x 12.75in (W) x 6.875in (H). Andrea Twin Pack & DUO 16 Piece Display, 4 sku's, 4 ea. (65791). This turn around worthy display is 19in (L) x 9in (W) x 12in (H). Recommended for retailers, salons, or make-up studios. Our best selling lashes and glues just got better! 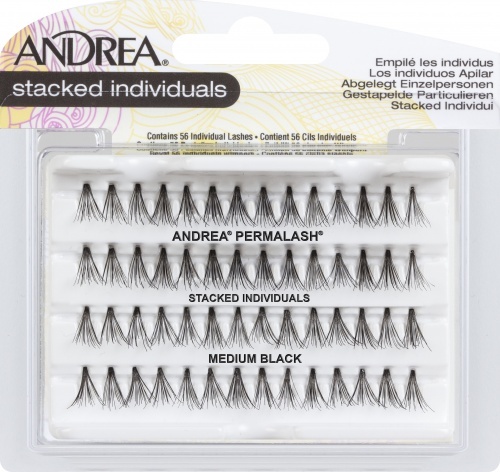 Andrea’s most popular lash styles are being featured in a twin pack with free adhesive at a great value. This promotion is sure to excite loyal customers with the offer to stock up on their favorite lashes as well as attract new consumers to the brand. Andrea Two-of-a-Kind 20 piece Display with Free Adhesive, 4 sku's, 5 ea. (61548). This turn around worthy display is 19.875in (L) x 12.875in (W) x 5.75in (H). Our best selling lashes just got better! 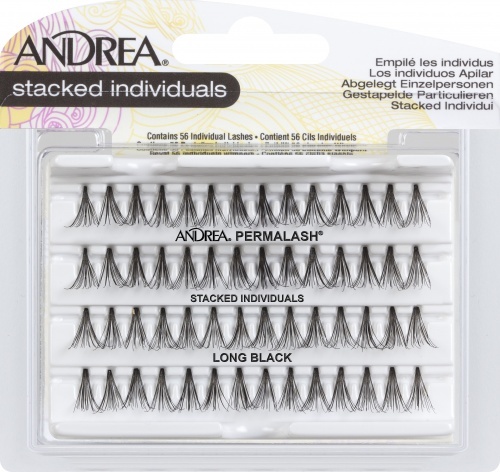 Andrea’s most popular lash styles are being featured in a twin pack with free adhesive at a great value. This promotion is sure to excite loyal customers with the offer to stock up on their favorite lashes as well as attract new consumers to the brand. 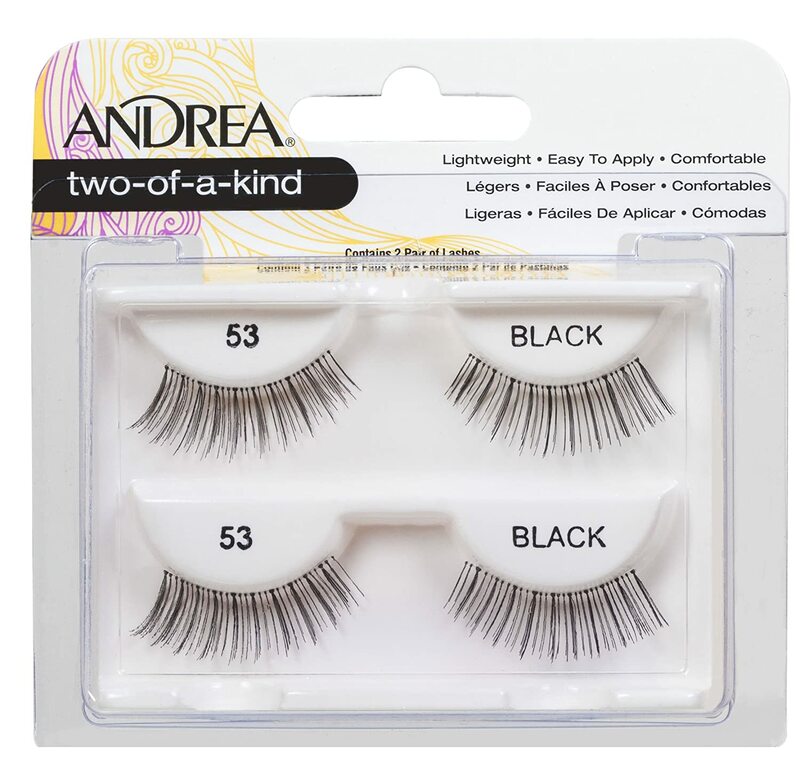 Ardell Soft Touch Knotted Flare Trios Individuals Medium Black has uniquely designed lash cluster with tapered tips which makes application seamless along natural lashes. They offer three times the speed! Triple fast and easier than regular individual lashes. 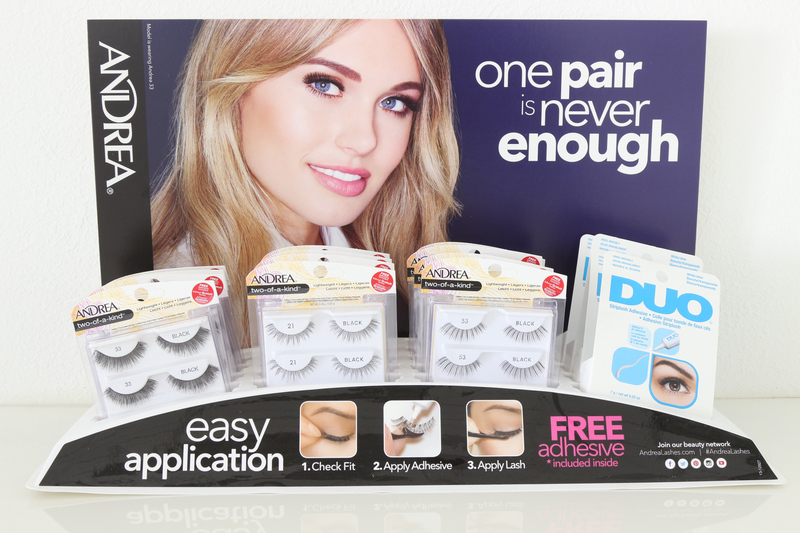 Individual Trios is an all-in-one pack for lash customization! 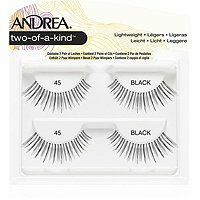 Ardell Soft Touch Trios are lightweight and tapered at the ends resulting in a perfectly awless lash look that blends naturally with your own lashes..